We believe in completeness, a unified communication platform for all kind of businesses, it can be either Enterprises, Startups or small shops. A web-based automated Virtual Receptionist / Hosted IVR system that provides "a" unique customer experience. A single, integrated platform providing best solutions for Telecommunication. Grab leads in just a ring. Our Cloud Telephony Dot device deliver on your premises - a full-scale version of the cloud management module. A Powerful and user friendly SMS platform will help you to communicate, interact and transact with your target audience. Let your clients be connected to you freely and give your business an edge with Toll Free Number. Deliver your pre-recorded message or voice message to thousands of targeted audience at a time and generate leads. Connect your services / products to your favourite CRM system with our API and Webhooks. Simple and powerful marketing automation helps you to set up a sequence of marketing campaigns. 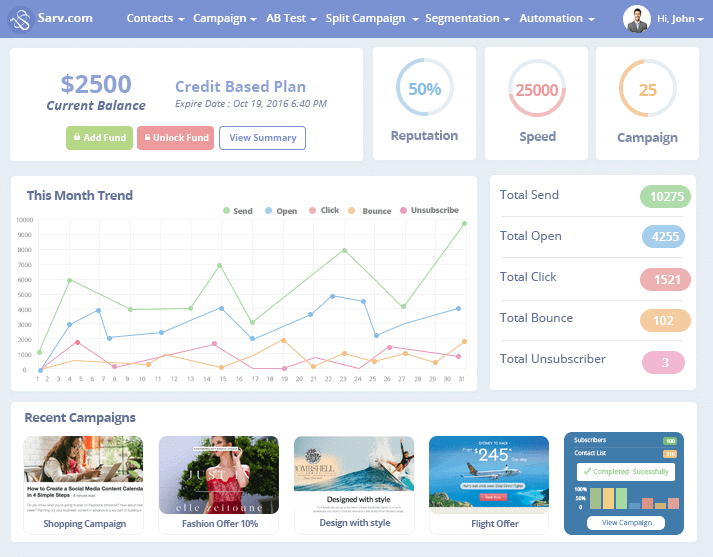 Send emails and track real time statistics with Sarv transactional email services. Easily integrate via SMTP or API. Convince your customers with efficient designs. Era of Speedy, Automated, Segmented and A/B tested mailing. agents based on IVR selection, business hours, agent skills etc. List of Module Combine our powerful modules to supercharge your IVR. Module report gives you insights that drive results. The message which you deliver to caller before the call is answered. You are facilitated to choose the type of audio/music you wish to play before the call gets answered. The API which enables you to transfer data from an IVR call to your web server and get the data from the server when required. During the flow of IVR, decide the point where you need to answer the call. Decide the modules you want to use before or after the call is answered. Caller will receive an announcement when call is answered. 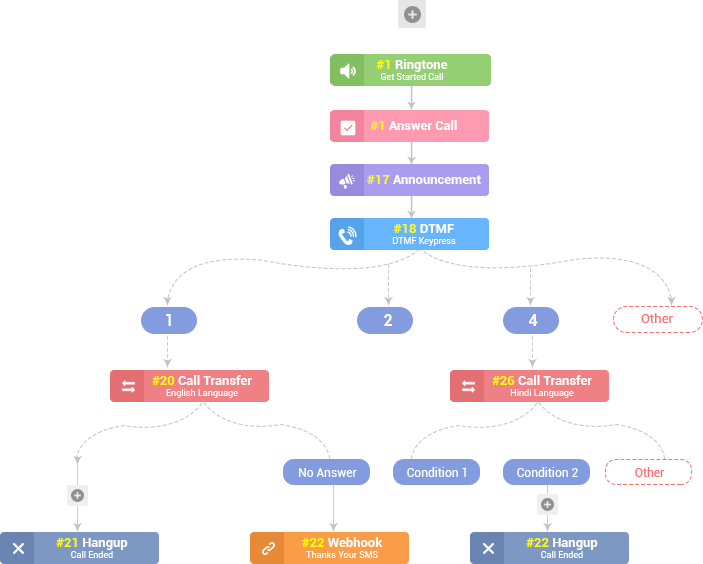 Create an announcement in three ways - Voice, Text to speech and Webhook. Easily transfer the call to another agent/department without disconnecting the call. We also offer dynamic tag feature with call transfer. Calls will be directed to go to a personalize voicemail if Your Phone is in use or you're unable to answer. Using the human voice as an interface and change the customer service performance. When a blacklisted contact call you the call ends automatically. Route your callers to the right agent, team or department based on custom criterias. Discover a convenient and powerful way to connect with your customers in a customized & efficient way. Direct and optimize each inbound call to added agents based on IVR selection, business hours, agent skills etc. Email Marketing is the heart of communication. Email Service is the most efficient, reliable and flexible way to reach your customers. Email Campaigns help you to understand your subscribers more efficiently. Now easily design a responsive email and view it on any device. It may be a Laptop, Mobile or Tablet. Now analyze all your email elements to make sure your campaign will not hit SPAM. Manage your subscribers in multiple contact lists in the real time. Add custom fields to personalize their information. 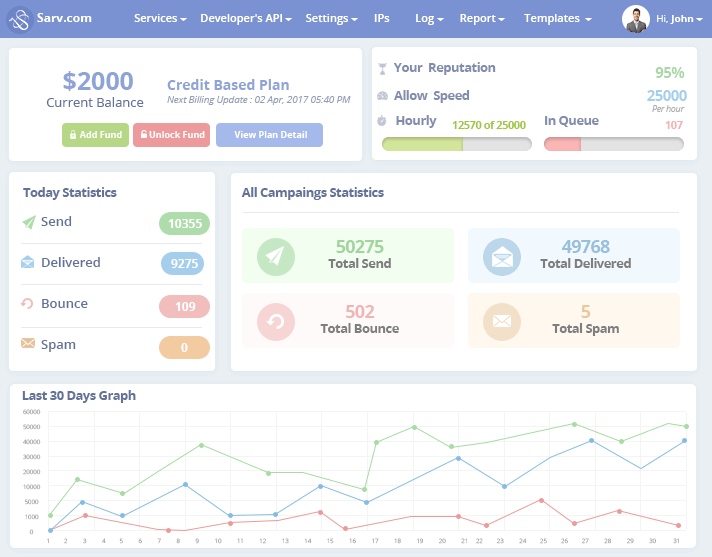 Sarv Transactional Email Service (Sarv TES) is Pay as your uses service with real-time easy access to your statistics like open, click, bounce, delivered, complaints on Dashboard & HTTP API with Webhooks method in JSON, XML and POST data structure.  Wallet is hassle free that can help you to drive more revenue and business. Easy rotation of money makes the process further easy and losses are the least. We secure your money, ensuring that no unauthorized transactions are made. What Our happy clients have to say about us ? I am happy to see the Quick Response and Timely Resolution of all my queries, Along with the same the uniqueness of the portal is online reports we can see how many hits, how many opened and how many subscribed. I am using Sarv at HCL from last couple of Year and I would like to thank entire Sarv Team to provide best email platform with 100% Customer Satisfaction. Hats Off to Sarv Team .